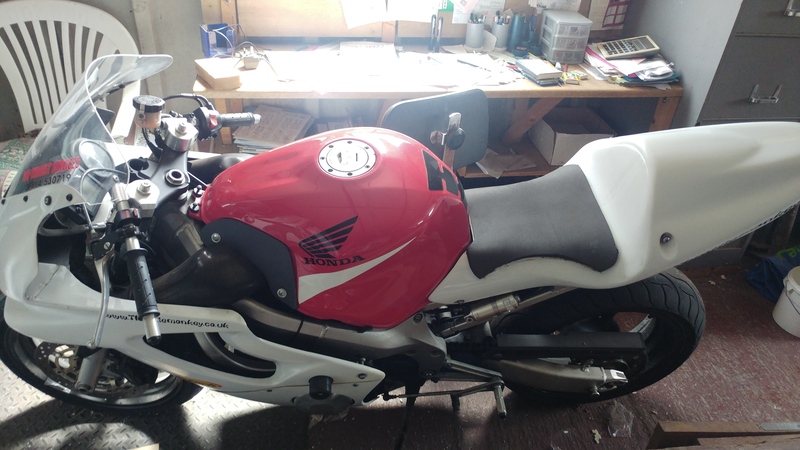 I have for sale my trackday bike if anyone is interested. 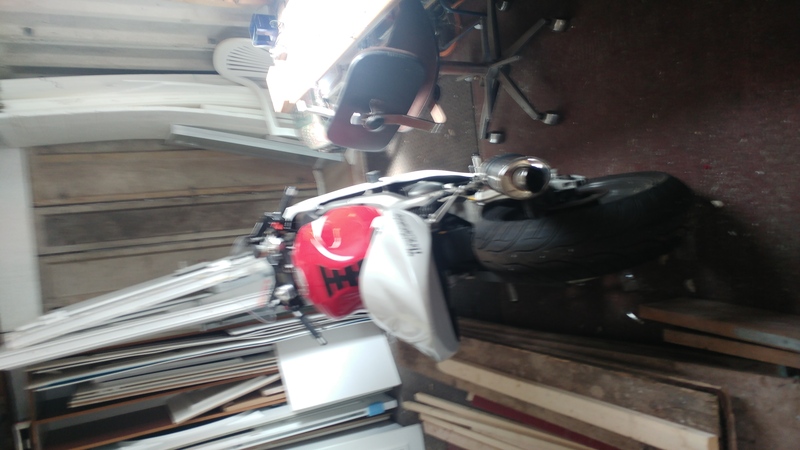 I bought a crashed bike and rebuilt it as a trackday bike back in 2005 and its done about a dozen trackdays in various groups.It cost me around 3.8K back then to get it track ready. Its pretty much good to go but will need a new battery as its not being used. 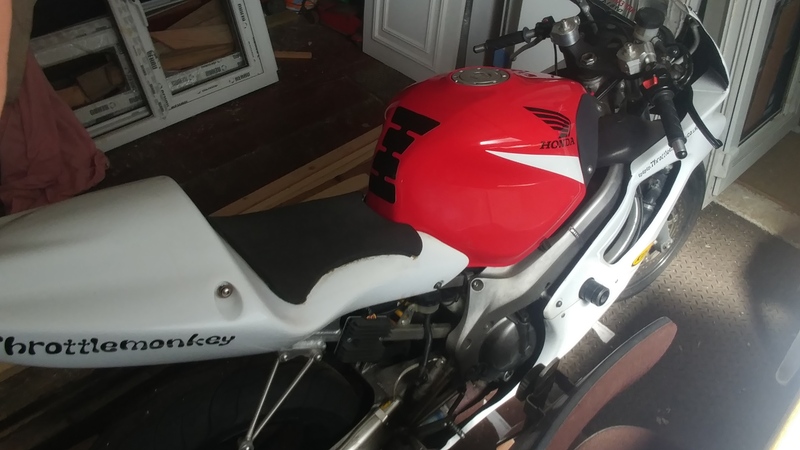 Ive not done a trackday for 3 years now probably because Im too old and too fat to get in my leathers :) Anyone from the old Throttle Monkey days will probably remember me. The bike is in my work lock up and basically its now in the way. 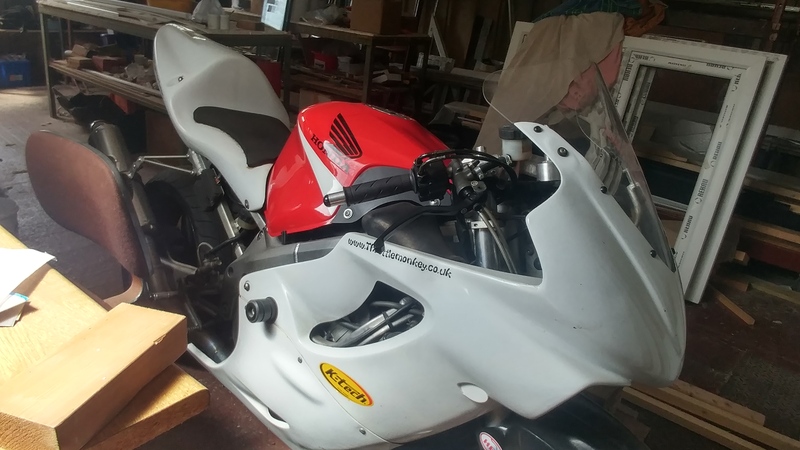 Its a shame its not being used as its ideal for someone who fancies trackdays and dosent want to risk thier pride and Joy. Last time I checked its around £600 to rent a bike for the day at a track so why rent when you can buy. Anyway, if anyone is interested shout up and Ill pm you my number.